So in half term we did our latest photoshoot, SS19 it was so colourful and a lot of fun. I decided to get more children involved and join in the fun and be part of the Lola Starr brand. So I posted on social media that we we’re looking for girls to join and we had a great response, after careful consideration we choose Masie who is 8 and Raffaella who is 6 and of course Lola, all 3 girls were absolutely fabulous, the images came back better than I’d imagined. We all met at www.couturefoto.co.uk studio in Southport on a rainy Wednesday lunchtime after an eventful and stressful night for myself thanks to DHL for not picking up my last few samples for the photoshoot, they were booked and paid for to be delivered to me from my vendor, instead my super hero husband drove the 220 miles to the factory, we’re they kindly kept someone there waiting in the factory all night for him to arrive, which was 4am! He then drove all the way back in time for me to press the garments and head over to the studio. 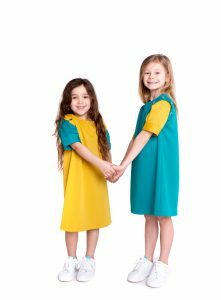 We began with the brand new POP COLLECTION, these dresses looked fantastic on the girls real bright, bold colours; red, mustard, teal, pink and coral are in this collection and they look and feel fantastic. This is called scuba fabric, really easy to wear, great to wash and if hung to dry on a hanger you shouldn’t need to iron it either! The three girls enjoyed picking out the colours out and had fun changing the sleeves. Time had flown and we were only just starting the baby cord pieces, which come in yellow and lilac, so we put Lola and Raffaella in these as they are similar size. This fabric is 100% cotton, and a lightweight baby cord. These looked super cute and also interchanging the sleeves with each colour looked great too. We had to speed things up and a big box of maltearers were a great help! The children really seemed to be enjoying the shoot and that’s what I wanted. Next we changed to the Original collection which is; denim, stripe and the white look which I think is a timeless collection, they all look great together and mixed and matched with each other’s sleeves and when we added the long starred sleeves they were my favorites. We tried to capture Lola and Masie changing Raffaella’s sleeves but couldn’t quite show that in one image, videos will portray this better which we will up load onto our social media sites. Our Original denim dress, paired with star sleeves for the shoot looked amazing and we also have the brand new flouncy sleeve, these will all be available on the website to buy. The following week I went back with Lola to finish off a few remaining looks and all the flat images needed for the website. 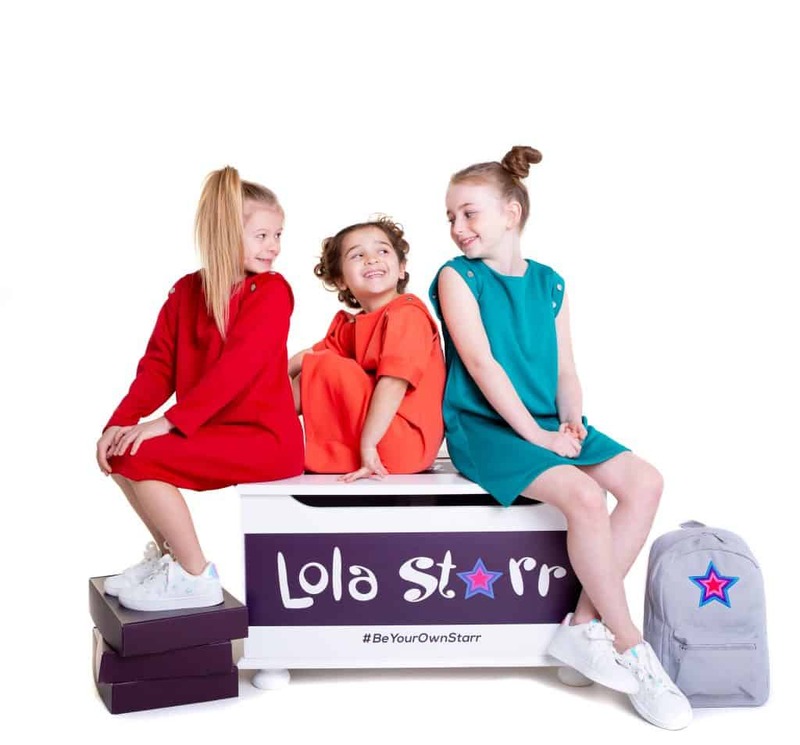 The last three dresses, which are a soft jeans fabric and come in turquoise, baby blue and baby pink, they are really cute and come with a flouncy sleeve, there really pretty and again look fantastic with no sleeves or and sleeves from our Lola Starr pieces in the size purchased. The looks are endless and we could still have done so many more looks, but I’ll leave that for our social media accounts as we keep swapping the looks and playing around with textures and colours, we also look forward to seeing all our Little Starr’s looks and how they mix and match their own style. 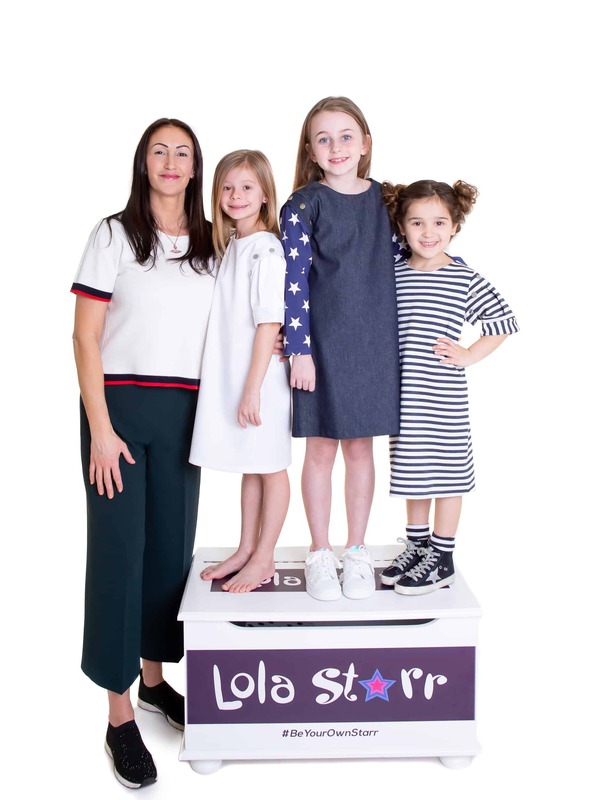 A big thank you to Lola and our new little Starr’s, Masie and Raffaella for being super stars and to Diane and Laura at couturefoto for the fabulous images and use of their beautiful studio.